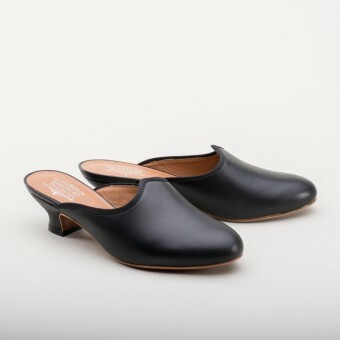 Sophie 18th century mules are the perfect slippers for your Georgian-era impressions. 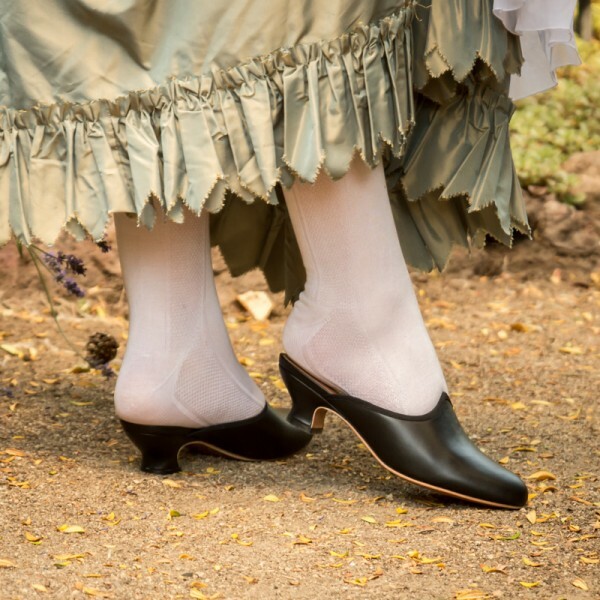 Correct for c. 1760s - 1790s, these adorable little backless mules work wonderfully for both working and upper class, with short 1.75" / 4.45 cm French heel, a shaped vamp, and softly tapered toe. Made in durable leather, the Sophie mules can be worn both indoors and outdoors and are easily slipped on or off when fully dressed - no bending down to fasten buckles or ties. 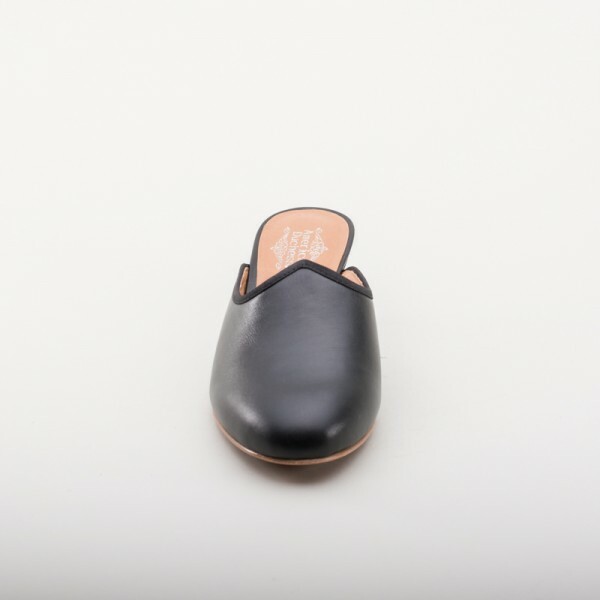 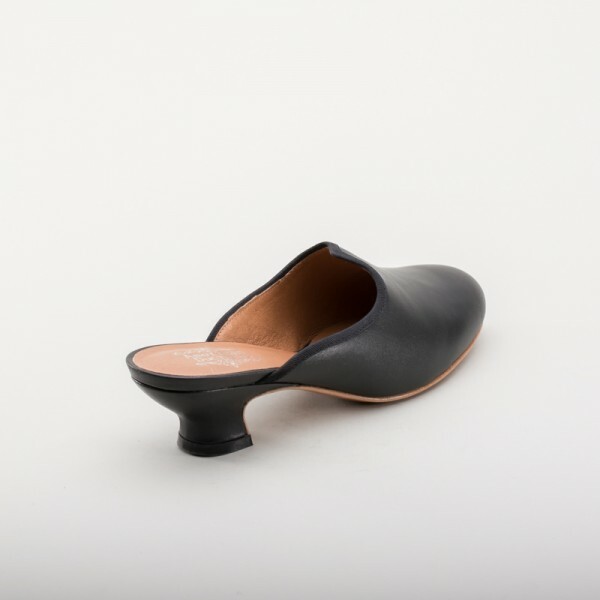 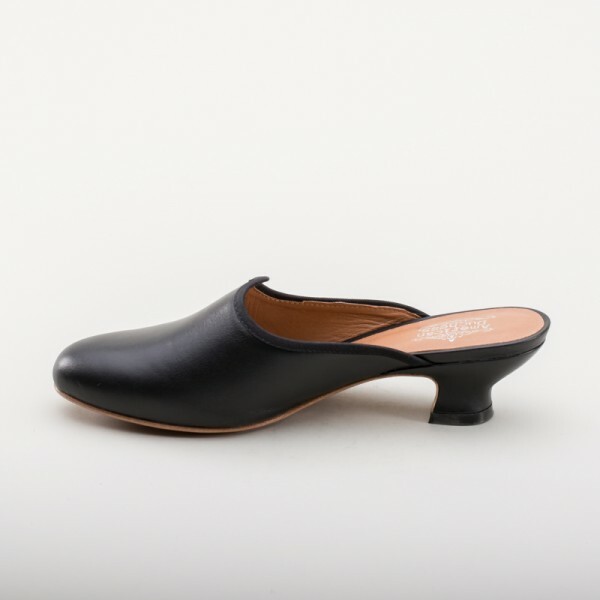 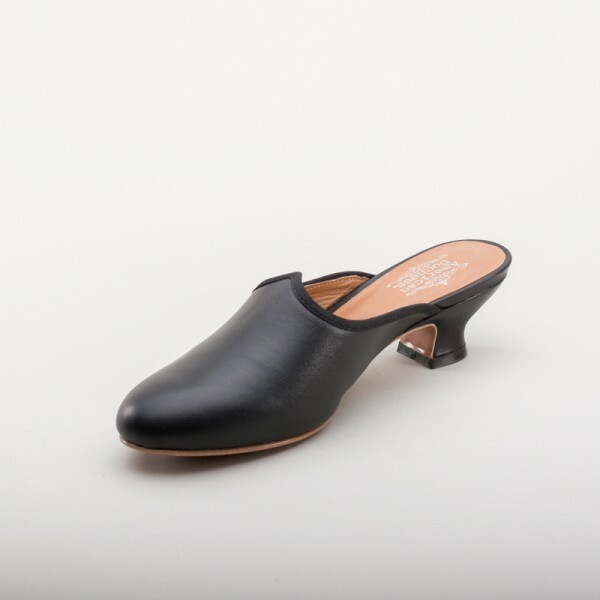 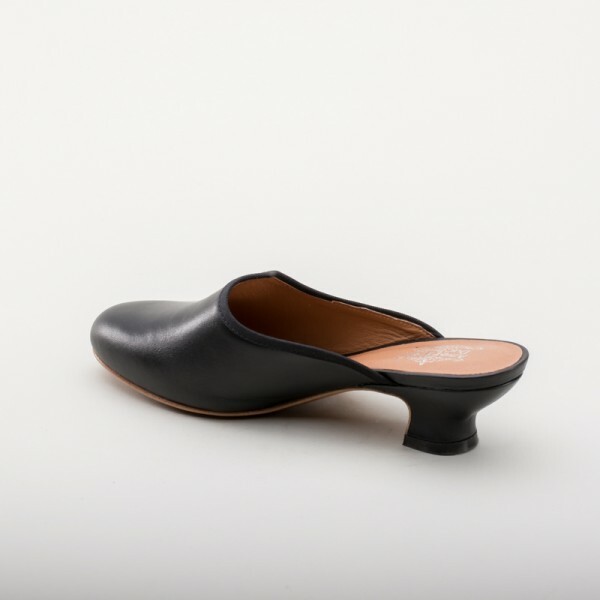 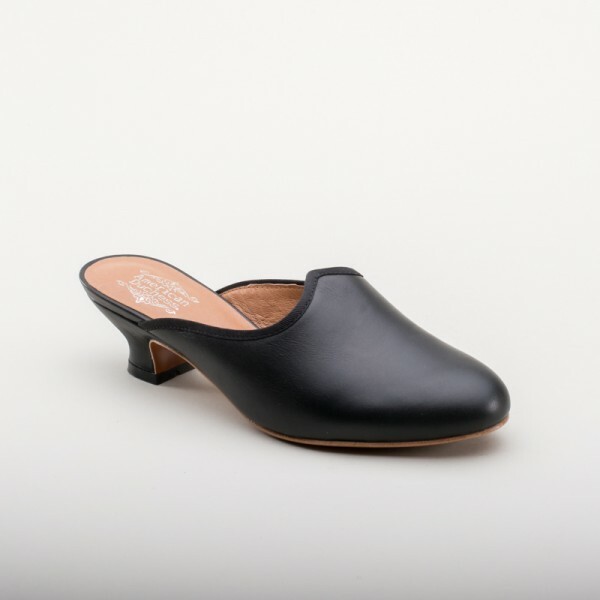 Despite the slipper design, the real leather lining in our Sophie 18th century mules keeps them securely on your feet.